In addition to the two applications, we needed to provide a copy of our Constitution. The Steering Group produced an initial Constitution which was ratified at our inaugural General Meeting on 20th Nov 2016. 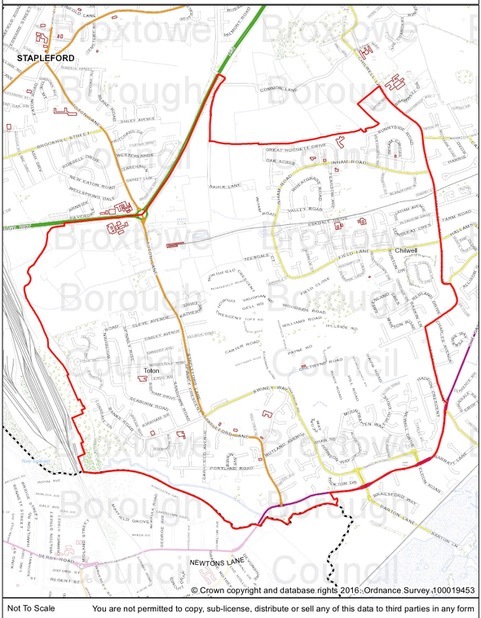 The Inaugural Meeting ratified the proposal for our Neighbourhood Area which comprised the two wards of Toton & Chilwell Meadows and Chilwell West.